The Basilica of San Clemente is a Roman Catholic church dedicated to Pope Clement I which was built on top of a lot of history. A building here from the republican era was destroyed in the Great Fire if 64 AD (that of Nero). On the foundations of that building, an industrial building was built, followed by a domus, a multi-level house of a Roman nobelman alongside it, separated from the industrial building by a narrow alleyway. During the 1st century the house had been used as a church. 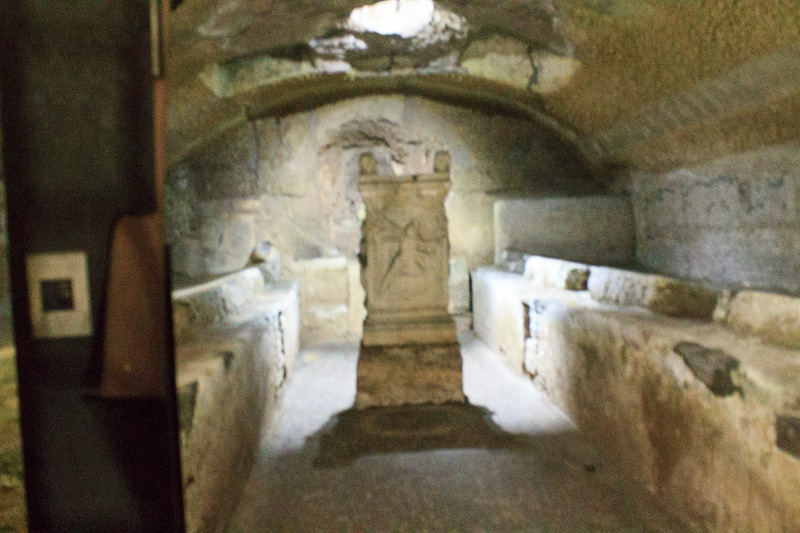 About 200 AD, the central room of the domus was remodelled as a mithraeum, or Temple of Mithras, which can be seen today in the underground of today's church. Mithras was a sun god of Persian origin whose cult was for men only and involved secret initiation rituals in small, cave-like structures. There is a worship room (2nd photo below) and a training room. Several other mithraeums can be seen in Ostia Antica. 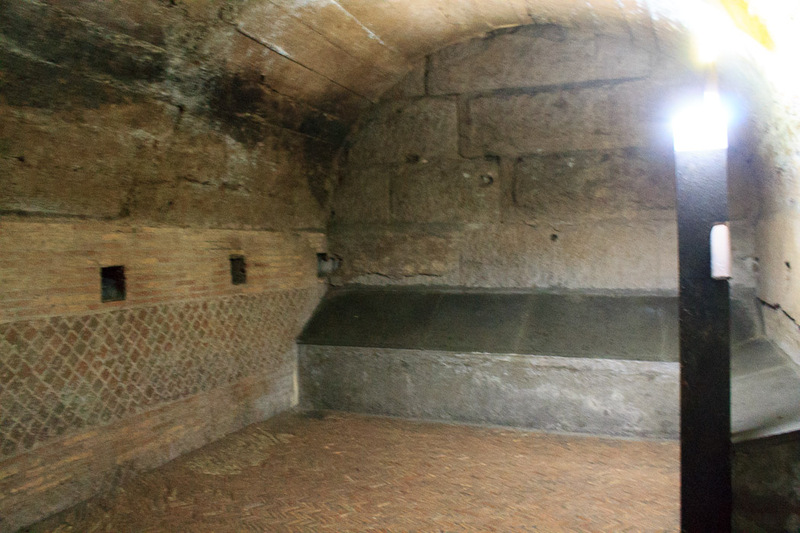 Not long after Christian persecution ended under Constantine (313 AD) and Christianity became the official religion of the empire (380s AD), the lower level of the industrial building and the lower level of the domus (the mithraeum) were filled in with dirt and rubble, and the second floor was remodeled into a basilica dedicated to Pope Clement I, a 1st century AD Christian. During 1080-1099 AD, the church was restored into the church we see today (1st photo below). The 12th century apse mosaic is among the best sites in the church today. See all San Clemente photos. 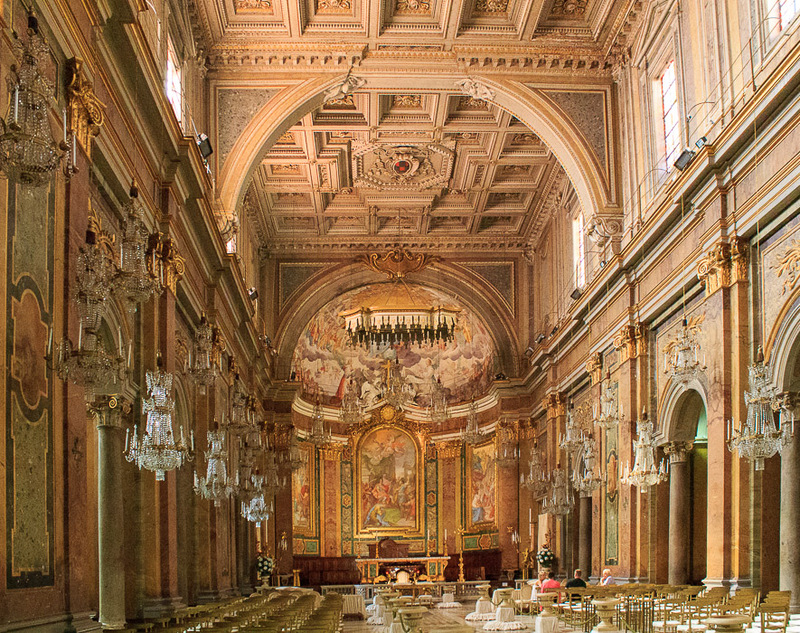 Beneath today's church you can visit the 4th century church, and walk through the narthex, three naves and the apse. You can see several frescoes from the 9th and 10th centuries. Sorry, I have no photographs of this area since photographs are prohibited. Then, in the lowest level of the church you can see the remains of the 1st - 4th century buildings on this site. 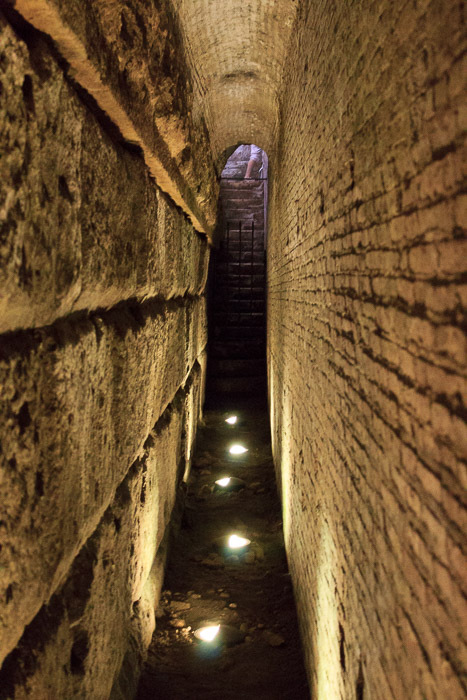 Included is the 3rd century mithraeum, and the remains of the 1st century dwellings, showing several rooms with barrel vault ceilings and a room with spring water where you can hear and see the rushing underground water. Photos are also prohibited here, but I got angry enough at this artificial rule to take a few photos here. How am I supposed to remember a site 10 years from now if I can't take a photo to remember it by? I say knock off the restrictions and let your paying visitors take photos. But that's just me. End of rant.